There is a reason why so many people around the world practice yoga. It makes them feel better. But, these days, it’s good to back things up with some evidence. So, here it goes. 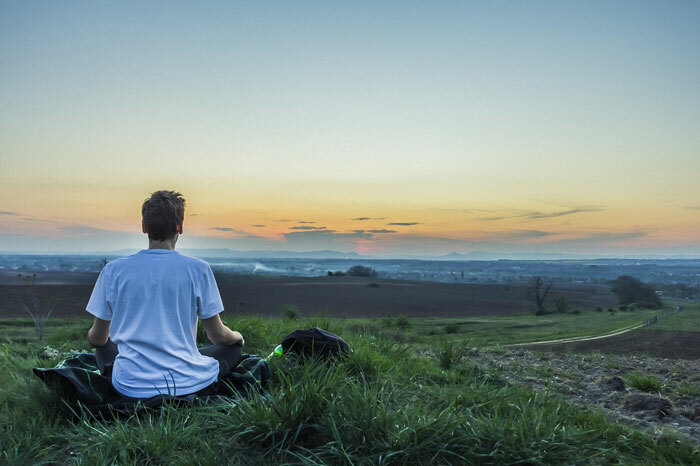 Western medical science suggests that regular yoga practice can increase the activity of the parasympathetic nervous system, which is responsible for the ‘rest and digest’ mode of the body and makes you feel more relaxed. Yoga reduces stress, including work-related stress (1). When compared with other forms of exercise, it has shown to be as effective as or better than traditional physical exercise, both in healthy and diseased people (2). Hitting the yoga mat might be particularly beneficial if you want to address challenges that relate to your mental well-being, such as anxiety, depression, concentration and memory issues (3). And the list goes on and on. You should also know that yoga is not about acrobatic-looking poses and twisting your body into seemingly impossible shapes. Above all, it’s about the breath, meditation and simple gestures that increase your awareness. 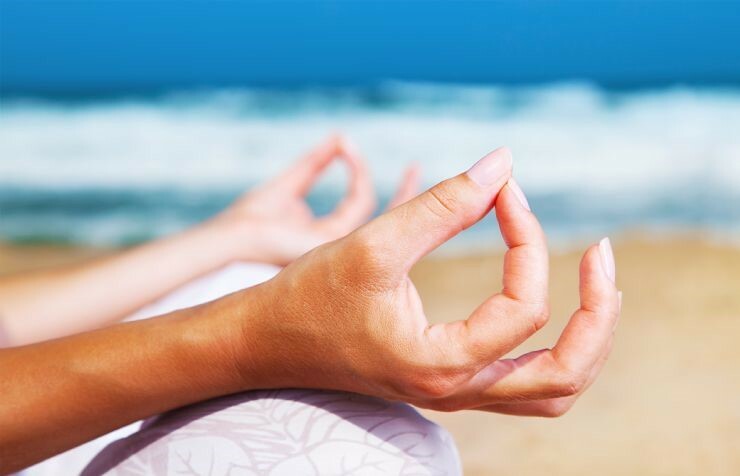 In this article, I describe 8 important hand mudras that can act as a powerful therapy. Most of them can be performed any time of the day as a part of your yoga practice or when you’re on the go and don’t have much time to spare. 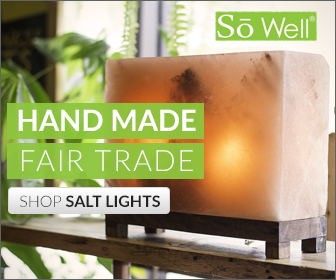 You often hear that your health is in your hands. Well, it literally is. 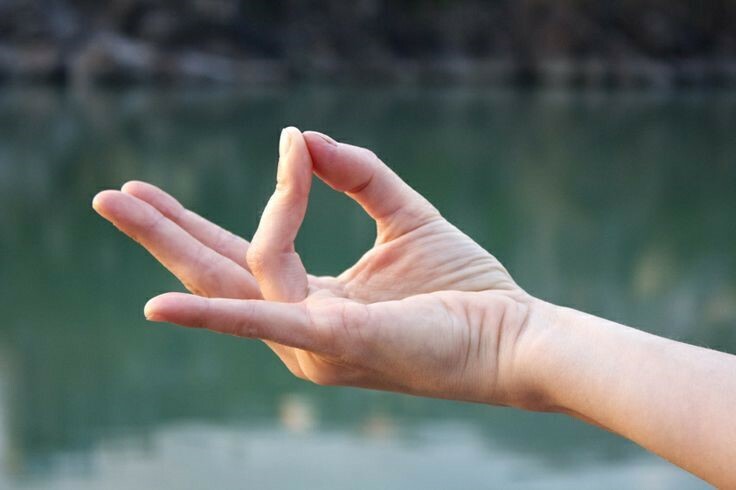 Mudras are hand and finger gestures that we can adopt during meditation or pranayama (breathing exercises). They are considered to be ritual gestures, and you can often see them depicted in ancient scripts and Hindu and Buddhist images. However, mudras can also involve the whole body. 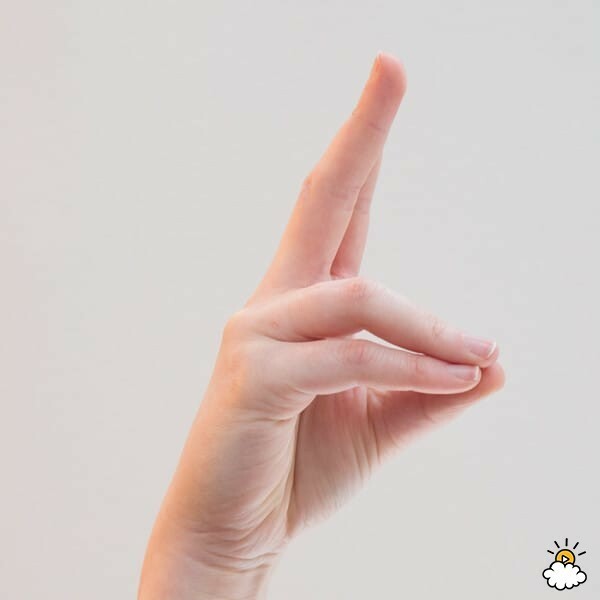 As the name suggests, this mudra increases our knowledge and improves memory and concentration. It stimulates the pituitary and endocrine glands and also helps with insomnia. Description: You will often see this mudra used during meditation. Touch the tip of your thumb against the tip of the index finger. The other three fingers are stretched out, but can also remain slightly bend if that feels more free for you. 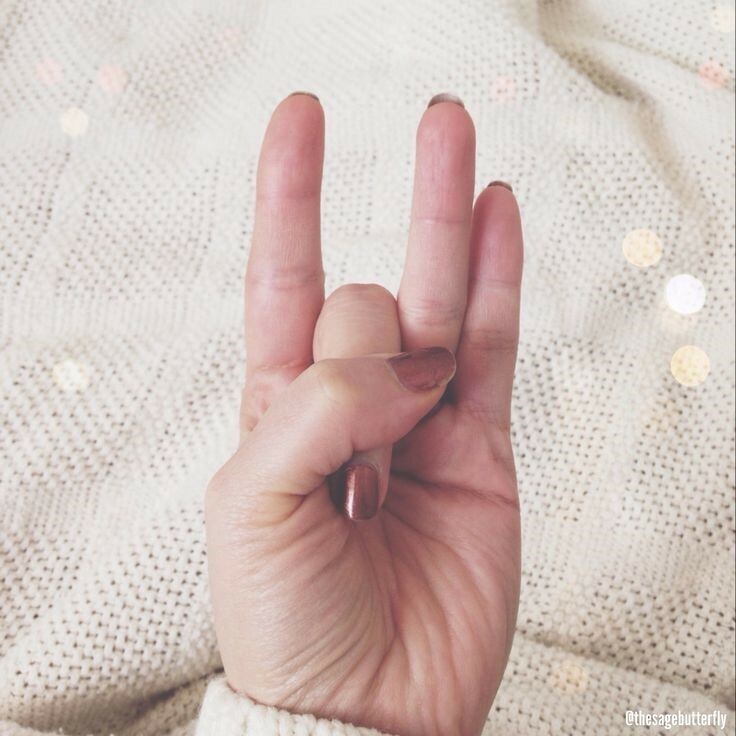 Other Instructions: You can do this mudra any time of the day, but morning might be the most beneficial. It can be practiced in standing, sitting or even lying down. This mudra releases excess air from the stomach and can be beneficial for people suffering from chronic rheumatic conditions, arthritis, gout, Parkinson’s disease, paralysis and cervical spondylitis. Description: There are three bones in each of the fingers called the phalanges (thumb only has two). Fold your index finger and place the base of your thumb against its distal phalanx (the bone close to the tip of the finger). The thumb comes over the index finger, and you should feel slight pressure. The other three fingers remain as stretched as possible. Other Instructions: This mudra can be practiced any time of the day, on a full or empty stomach. To relieve the pain, hold it for 45 minutes and do it regularly. Once you achieve the desired benefits, you should stop with it as prolonged use can cause an imbalance in the body. This mudra is particularly beneficial when you are feeling exhausted and stressed out. It improves blood circulation naturally and reduces weakness as well as helps with the digestion system. 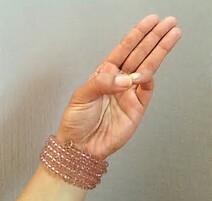 Description: In this mudra, the tip of the ring finger and the tip of your thumb touch. Press the tips together while the other three fingers remain as extended as possible. Other Instructions: Preferably, perform this mudra in the morning, but other times of the day work, too. Agni mudra can also be called Surya Mudra (Mudra of the Sun). 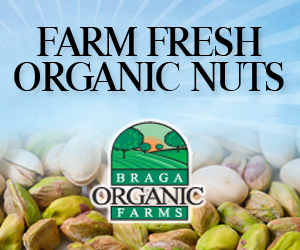 It stimulates the thyroid gland and deals with digestion, weight problems, and anxiety. Directions: Bend your ring finger and press the base of your thumb against its second phalanx. The other fingers remain stretched out. 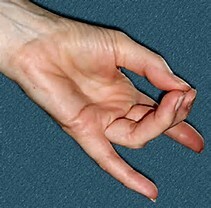 Other Instructions: This mudra should be practiced only in the mornings, on an empty stomach and in a sitting position. You should hold it for 5 to 15 minutes, twice daily. If you are feeling very weak, avoid this posture. Also, don’t overdo it in hot weather. This simple mudra helps to regulate fluids in the body and is known for its beneficial effects on the skin. It moistens the skin as well as makes you glow. Directions: Lightly touch the tips of the thumb and little finger. The rest of the fingers remain straight. Other Instructions: Make sure you don’t press to near the nail of the little finger as this can cause dehydration. Also, people with asthma and respiratory issues should avoid this posture. The Mudra can be performed any time of the day, preferably in a sitting position. This posture is useful for people with hearing problems and can also help with an earache. Directions: Bend your middle finger. 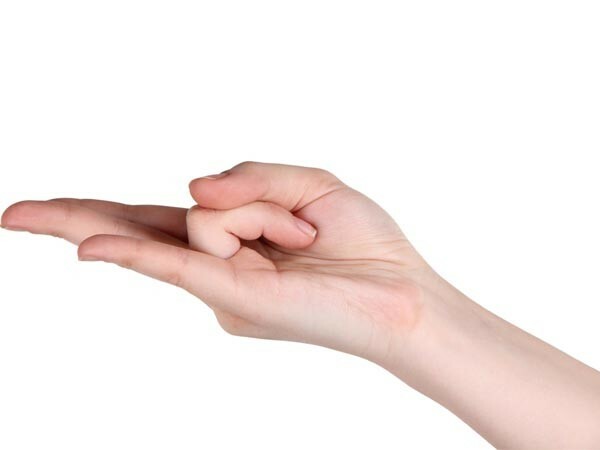 Place your thumb over it and press the distal phalanx (the bone close to the tip of the finger) of your middle finger with the base of the thumb. The rest of the digits are kept as straight as possible. Other Instructions: Full concentration should be applied if trying to cure an earache. When you observe the benefits, stop practicing the mudra. As the name suggests, this is a very important mudra and balances the body’s energy. It revitalizes the body and improves its immunity. It can also be used for insomnia, problems with eyesight and when fasting as it reduces hunger pangs. Directions: Touch the tip of your thumb with the tips of the little and ring finger. The other two fingers are kept straight. Other Instructions: The mudra can be practiced any time of the day; if performed regularly, it will make you feel more active. This mudra strengthens the heart. It’s very beneficial for people who have suffered a heart attack and should be performed daily. Directions: Tips of the middle finger and ring finger touch the tip of the thumb. The Little finger is stretched out, and index finger touches the base of the thumb and applies light pressure. Other Instructions: Practice this position as often as you can. If you have heart problems, hold for at least 15 minutes. 1. Lin S, Huang C, Shiu S, Yeh S. Effects of Yoga on Stress, Stress Adaption, and Heart Rate Variability Among Mental Health Professionals-A Randomized Controlled Trial. Worldviews on Evidence-Based Nursing. August 2015; 12(4):236-245. 2. Ross A, Thomas S. The health benefits of yoga and exercise: a review of comparison studies. Journal of Alternative & Complementary Medicine. January 2010; 16(1):3-12. 3. McIlvain S, Miller B, Lawhead B, Barbosa-Leiker C, Anderson A. Piloting yoga and assessing outcomes in a residential behavioral health unit. Journal of Psychiatric & Mental Health Nursing. 2015; 22(3):199-207. Dr. Halland Chen is an MD who currently practices in New York at the Vein Institute and Pain Centers of America. With a passion in regenerative medicine, Dr. Halland helps patients alleviate pain and avoiding surgery by allowing patients to heal naturally using the body’s own growth factors and repair mechanisms. He is on the Board of Directors for the American Academy of Regenerative Medicine, whose leadership Directors also come from the Harvard Stem Cell Group and Mayo Clinic. 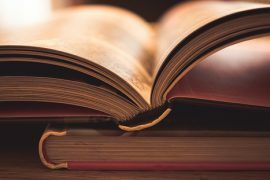 Among his other passions, Dr. Halland travels alongside with tech entrepreneurs across various locations internationally to cultivate new upcoming and emerging technologies, kite-surfing, and writing informative articles to help educate readers. Next articleToilet Talk: What Does Your Waste Say About You?